The simple yet versatile everyday long-sleeve tee we have all been searching for! 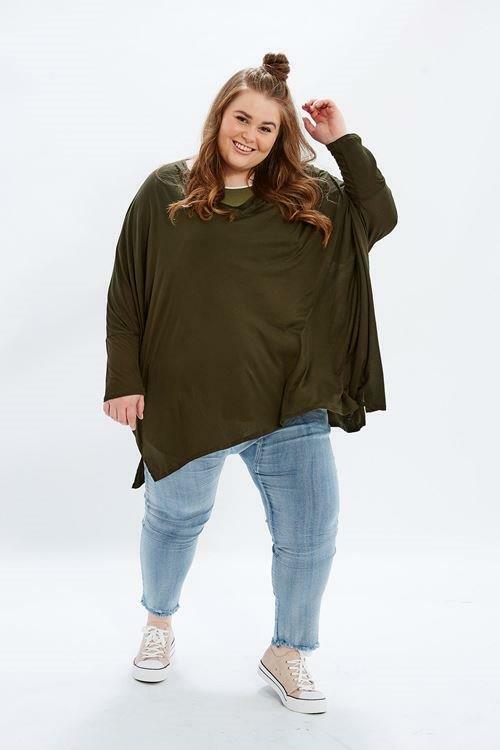 Crafted in silky soft rayon/jersey blend, the Luxe LS Tee features a sports-luxe inspired V-neckline, fitted sleeves and a subtle Hi-Lo hemline that will gently skims over all the right curves, in all the right places! Let this everyday masterpiece take you from desk to dinner. Simply style the Luxe LS Tee with our Drop Crotch Pants and your favourite slides for an effortless everyday ensemble, or pair it with our Mid Rise Skinny Jeans and neutral heels for a dinner date outfit that will leave you feeling every bit of confident and comfortable all rolled into one!